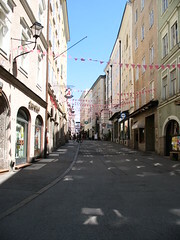 Linzergasse is the main street on the north side of the Salzbach, and was one of the busiest streets in the city in Roman times. Although not as popular or extensive as Getreidegasse on the other side of the river, there is none the less a range of shopping possibilities to be found here. The street has a number of butchers and bakers, in addition to some typically Austrian clockmakers. Linzergasse also has a number restaurants, especially on the southern end of the street. Be the first to write a review about the Linzer Gasse! See below for more information. 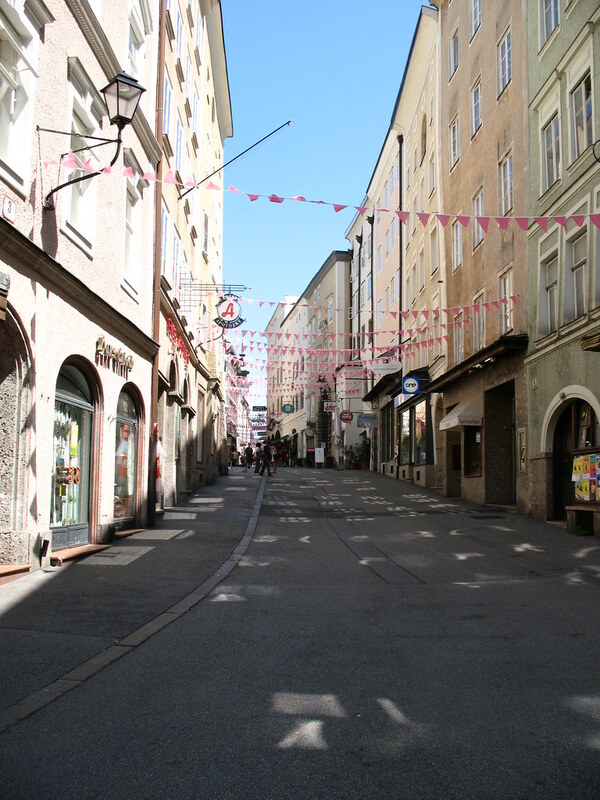 Have you already visited the Linzer Gasse? If so, let everyone know what you thought about it by writing a review! No registration necessary. Just click here to start writing!